Hello, and welcome to my little patch of paradise in sunny Nelson, New Zealand. Homegrown Kitchen is where I share my recipes inspired by the garden and local surrounds. For many years (over 18 years!) 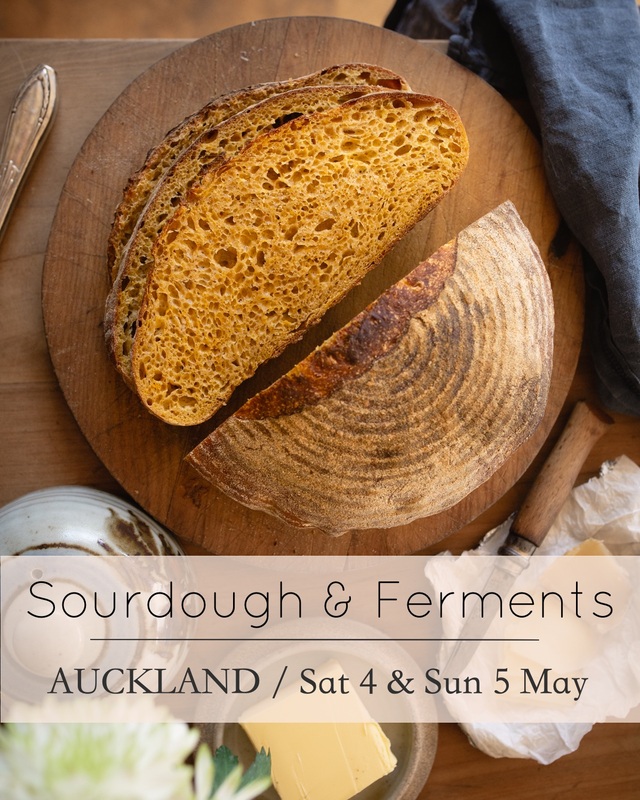 I have been studying, researching and teaching others about cooking and eating well through my food writing, and cooking workshops in Nelson and around New Zealand. I started this online recipe journal (initially as nicolagalloway.co.nz in 2004) as a place to share my love of cooking with the seasons and making food from scratch. With two young children, life is full… so the food we eat is simple, fresh and easy to prepare. The garden harvest and fresh seasonal produce create the heart of our meals, combined with everyday pantry staples. 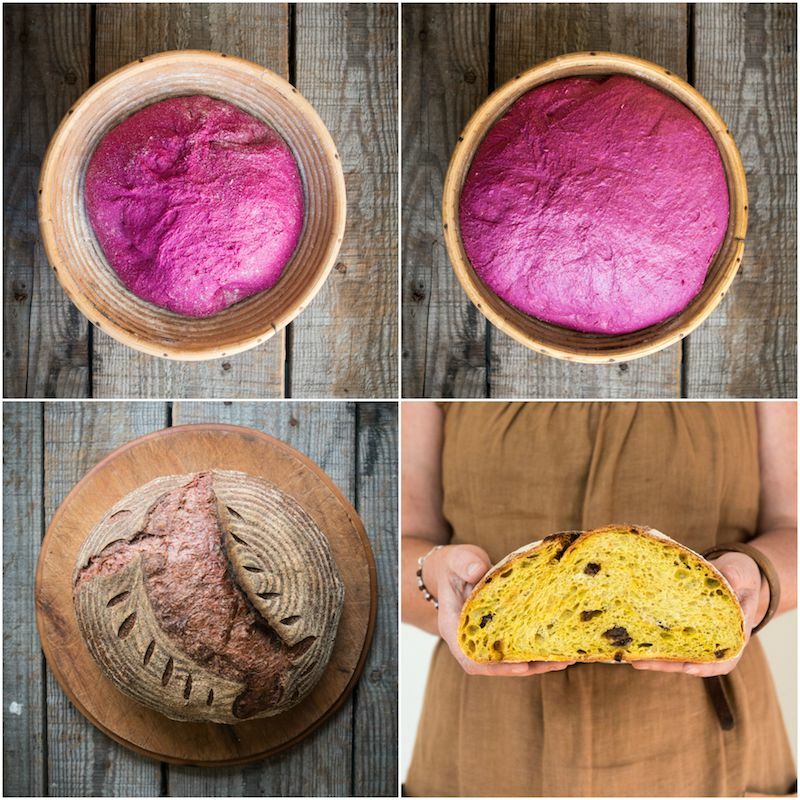 I also love making homemade essentials such as sourdough bread, yogurt, preserves and ferments from scratch. I have spent years refining and mastering these back-to-basics techniques to make them as simple as possible to fit around our busy modern lives. 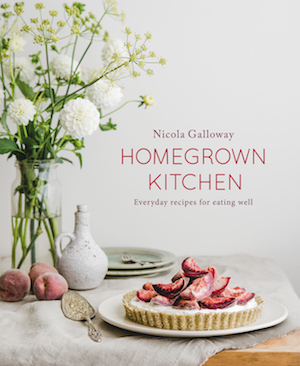 I have shared these recipes and my favourite family meals in my latest cookbook Homegrown Kitchen – Everyday Recipes for Eating Well. Thank you for visiting, I hope you enjoy reading and cooking my recipes. Please leave a comment or email me if you have any questions. You can read more about my food and garden love story below. A little kitchen and garden video from 2013 – my children are so little! My love for cooking began in my Nana’s kitchen. Once a week she would pick me up after school and we would spend the afternoon cooking a meal to share later with the family. It was this sharing of food around my grandparent’s table that shaped the way I now cook for my own family. I occasionally share some of my Nana’s recipes here, as they have become firm family favourites. This early introduction to cooking led me to first train as a chef (1999), and then several years later study natural nutrition while living in Canada (2002). This sparked my interest in whole foods and traditional cooking techniques such as sourdough and lacto-fermentation to enhance the digestibility and nutritional value of the food we eat. On returning to New Zealand in 2003 I combined my knowledge of cooking and nutrition to run cooking workshops in Nelson, and eventually all around New Zealand. I also began writing and contributing recipes and images to magazines and publications. I have written four cookbooks, including the popular Feeding Little Tummies (2011 – out of print), Cooking for your Child (2006) and Alive! (2004). My fourth cookbook Homegrown Kitchen – Everyday Recipes for Eating Well (2017), is available in bookstores around NZ, plus signed copies HERE. Although I have a strong interest in healthy cooking from my studies, at the heart of my food philosophy is a love for cooking good food and sharing this with others. I find importance in knowing where my food comes from – whether from my own backyard, a local grower or small artisan producer. We are incredibly lucky to live in an area with an ideal climate for growing a wide range of vegetables and fruit in our backyard. With around 35 fruiting trees and plants ranging from a 30-year-old apricot to a thorn-less blackberry patch, a hedge of feijoas, plus nut and avocado trees, we grow a decent portion of our produce needs. We also have free-range hens to supply fresh eggs. This is all accomplished on a suburban property of about 800 square metres, with 30 square metres of garden beds. An indoor grapevine growing in our sunroom, just off the kitchen, literally brings the garden to our table. It is this indoor/outdoor space that gave life to this website, Homegrown Kitchen. The garden is an integral part of my kitchen where I grow fresh seasonal food using basic organic methods. Before embarking on motherhood I co-owned an organic vegetable box delivery for 7 years (2005 – 2012). I came to appreciate that organic gardening is largely about feeding and nurturing the soil to grow healthy strong plants. Produce we then eat and gain the benefits of the healthy soil they grew in. Every day I aim to spend time – however long or short – in the garden with my family. To take a break from the busyness of life, away from distractions and screens, to slow down to nature’s pace for a few quiet moments. *Images above of the garden and chickens captured by my talented photographer sister Ana Galloway. Nov/Dec 2019 OrganicNZ – Healthy Food Feature of Homegrown Kitchen – Save time and money. July 2018 – Green Thinking – Stuff.co.nz. Reducing food waste + our 3 bucket compost system. June 2018 – Homegrown Kitchen cookbook shortlisted for Best Cookbook Design in the PANZ Book Design Awards. January 2018 – Homegrown Kitchen Cookbook – NZ Winner Easy Home Recipes Category – Gourmand World Cookbook Awards – finalist in the 2018 ‘Best in the World’ awards. March 2016 – Cooking segment on Whanau Living TV One – watch HERE.